The Latest Scoop! – Page 2 – Changing it up a bit! 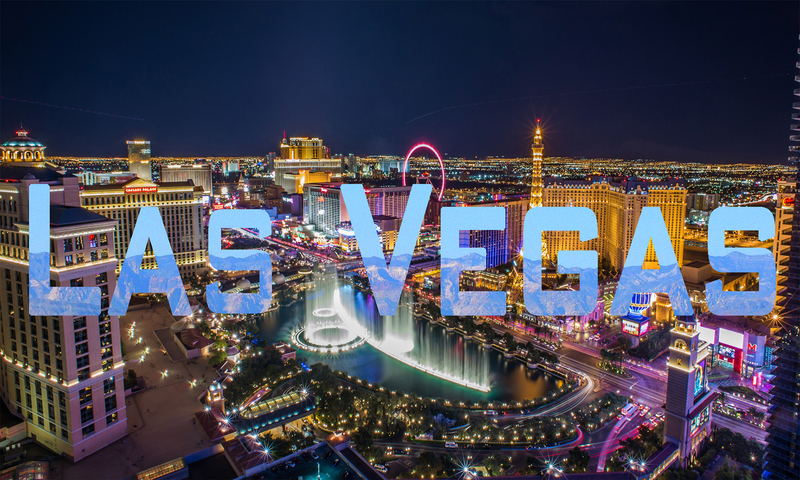 Things about Las Vegas Businesses, Activities and Our Town! Doilies. Furniture took on a whole new look! It’s so funny when I think about the past and what people were doing to keep their furniture lasting longer! It is a totally different mindset now with no one maintaining things for that long! Seriously, women used to knit all the time, and don’t forget those crocheted doilies. I remember every single table, nightstand, TV console, hearth in my grandmother’s house was covered with one, and lest we not forget the plastic couch covers! OMG, I was always saying something to my grandparents about taking them off the furniture. Can you imagine sitting on those plastic covers in the middle of summer? And, women wore dresses! Ouch!! Now keep in mind, I’m not a spring chicken, well, maybe there is still a lot of spring left in me, however, even growing up in my time which was right around the Vietnam War Veterans coming home, I never remembered my parents, and certainly not myself covering anything. The tables were bare, and if they got scratched so be it. Coasters were always used in my parents and my home, but no doilies. Maybe a tablecloth! People used to keep their furniture for a very long time. It was made well, and it was affordable. The only thing affordable now is discount furniture stores, Walmart or Big Lots type items. Even the larger furniture stores make laminated junk and still charges thousands for a couch set. Mostly everything is laminated these days. I don’t know what happened to good solid wood furniture but I guess it’s too expensive to make. Maybe a doily would help give some character to it now that I think about it. Social Media, The Yellow Brick Road! Facebook, Linkedin, Pinterest, Instagram, Twitter, YouTube. What do I need, and how should I get started? These are just some small observations and in no way cover the entire gamut of each of these social sites. This list is basically for someone who has not yet started on their social media journey! Tutorials are available for anything you want to learn. Type into Google, “Tutorials for Social Media” and the list goes on and on. I follow a lot of topics, people, businesses, and I’m on several social media websites. Learning something every day is the key to staying young (so they tell us) and staying on top of current and relative information (if you need it), and social media is part of the equation. That alone can also be a challenge if you’re not using automation. The reason I say this is that not everyone uses it. Sure, it’s excellent for your exposure, posting relative information about your company and keeping your branding active since you can’t be there all the time. Of course, if someone has a question, or needs an immediate reply, it’s not so good unless you are receiving notifications. Do I want to see numerous notifications all day? Not really! Now, keep in mind that I’m talking about you, yourself, and not a company maintaining your social media for you. If you have a small craft business, semi-retired, retired or a working person, these are sites that need to be managed one way or another, with paid subscriptions, organic (free) and/or with using automation. If you haven’t yet jumped on getting up to speed on the social media networks, it can be a little overwhelming. Most people, depending on their job and life/work balance only have an average of one to three sites at most. Facebook is easy to manage and easy to set up a personal page, but for business, it takes a little more work, and you should have a decent looking company page, and of course, spend a little money. If it’s strictly for selling, that’s a different route too and consider your e-commerce with additional resources like Shopify, or the like. But, what about all the other types of social media, and will they benefit you? Well, it really all depends on you. Let’s start with a few of the most popular social media sites with no up-front costs, and just putting in your time to get started. 2. Linkedin. This site is one of the best B2B (Business to Business) websites to get “linked” with other business professionals or you may have a company page for recruiting and making new connections in the business world. If you’re just doing some crafts or retired, this may not be the website for you. Linkedin is not a Facebook platform, although some people like to use it like that with their personal posts, but, it should be just for business. 3. Pinterest, Instagram. Now, these two websites vary quite a bit, but they are both visual-sharing social sites where you can upload photos. With Pinterest, you’re “pinning” and liking your favorite photos, and some have retail links for purchasing or seeing someone else’s website. This website is a proven sales generator for specific interests. Instagram has a more personal experience, yet it is also excellent for your business too. If you make craft projects, these two sites are great for showing your wares! 4. Twitter. Well, what can I say! This social site is great for connections, branding, sales and so on. It can be a little tricky to get your page up and running, making lists, following people, etc., but keep in mind that interaction is important. However, you will have to work a lot to stay on top of making good connections. Replying is a must, and automation is perfect for this site! 6. YouTube. For business, making videos helps sales, period. Do you have a seminar? Are you a Realtor? Show people how to sew? Then YouTube is for you! Check it out; I’m sure you’ll learn something or at least listen to some great music! Next time I’ll post about some of the best sites for automation if you decide to go that route! Remember, age doesn’t define you. Keep active, and that means your brain too! Machine Learning, Automation, the Cloud & IoT…Are you prepared? I am of the “old school” generation, yet started in the computer industry in the early 80s, I’m computer, graphics, and web savvy. However, I am also concerned about our human race in this time of uncertainty in the wave of the all-knowing IoT. We are making things more intelligent, creating better working machines, and, I’m interested in knowing what most people will be doing for work in the future? Back in the early 80s, I could foresee the future. I started writing a book called Animation where we were growing artificial skin that looked and felt real and making 3D artificial limbs. Computers were programmed and built life-like people for our personal needs. With face-phones and all of the things that are happening now, it was the future. If I had finished that book, it probably would have been a best seller. Movies were made about this stuff too, and yet, it was just the movies and creative scripts. So, here we are, and all those things are happening now, but my question is, “what is preparing us “ALL” for the future of being totally connected?” Most of the people around the globe do not have the education and resources to keep up with the Internet of Things. You would think that by this day-and-age everyone would be on the same playing field with technology…oh heck no! What are your thoughts? Are you prepared? Today, actor Robert Guillaume passed away. He was 89 and battled prostate cancer. My father is 88, and he too had prostate cancer but for seven years has been able to keep it in remission. With people we looked up to, actors who made our evenings less boring while watching them on TV, and family in general, it puts things into perspective on aging and the next generation. I’m moving towards that next generation, unfortunately. I think as we age, we think about dying, but we don’t want to talk about it. We don’t even want to talk about death, and we should. I hear that most people are living longer than ever before, and while this may very well be true, what exactly will this mean for the average person. Believe it or not, the oldest human being was 122 years old. There may be people who lived longer than that, but there are no records to confirm this. That is when the world was different. Not crowded, not polluted as much, and people ate real food. However, in the town you live in, the food you eat, the air you breathe, and, with the least amount of things you do that affects your health, not one thing can be confirmed that it won’t kill you. If you have money, live better than most, you may live longer, but no guarantee either, but again, it all depends on several factors, and not one person can tell you when you’re going to die. Life “expectancy” around the globe is only 66 1/4 years. Dang, I hadn’t thought of around-the-globe! The U.S. is a margin off from the U.K., but it seems like 80-85 is all they’re expecting most people to live. Then it got me to thinking, what if too many people live longer? That’s for another post! I’m on a new Dash Diet (it’s not really a diet, just better for Cholesterol and your Heart), walking more, drinking less, no smoking, and although I just got my Will in order, I’m still not talking about funeral arrangements. It’s just too morbid, and yet it’s part of the life-cycle that needs to be discussed with your family, etc. I am a senior citizen and have been going to various seminars, conventions and one-day classes for a few years now, it’s called express learning (at least that’s what I call it) and it’s truly amazing what opportunities await you! Last week, I went to this great convention in Las Vegas called WordCamp. A world of knowledge about Word, Podcasting, Social Media, and the list goes on. Express learning is a fantastic way to brush up on skills or learn new ones. I highly recommend you start with a website called “Meet-Up.” They have these classes and meet-ups available in most states and in most countries. Check it out!